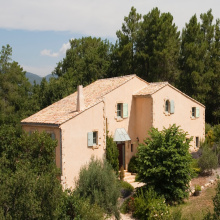 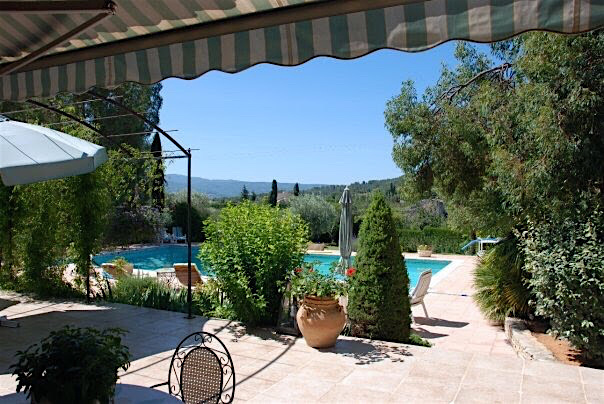 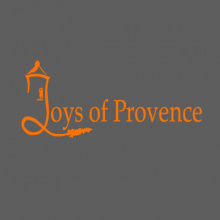 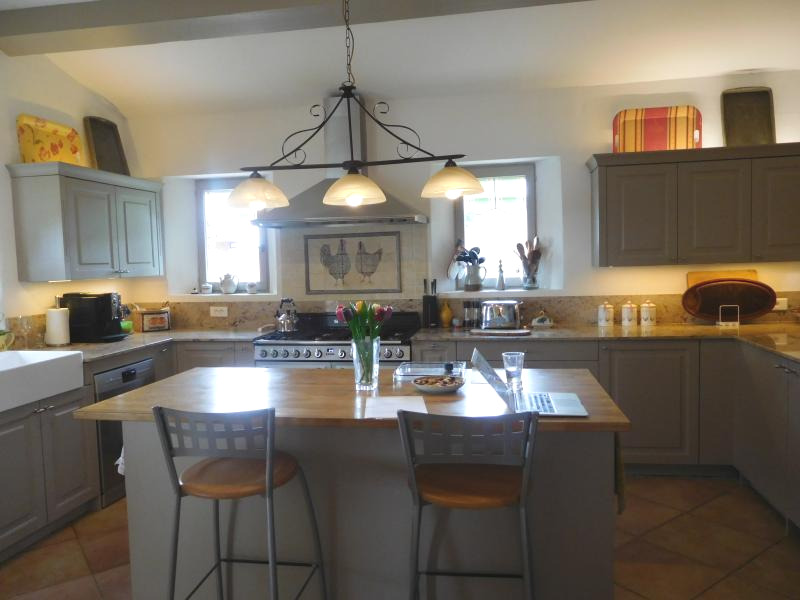 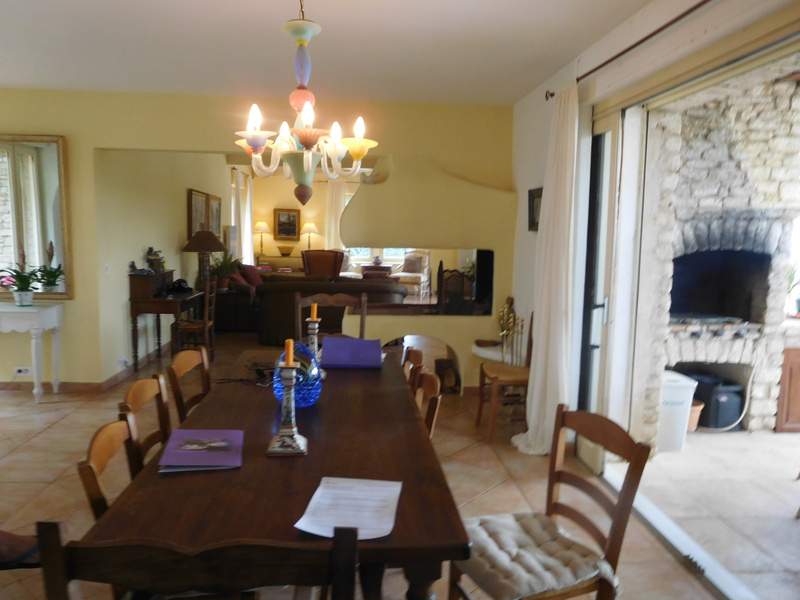 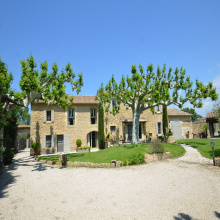 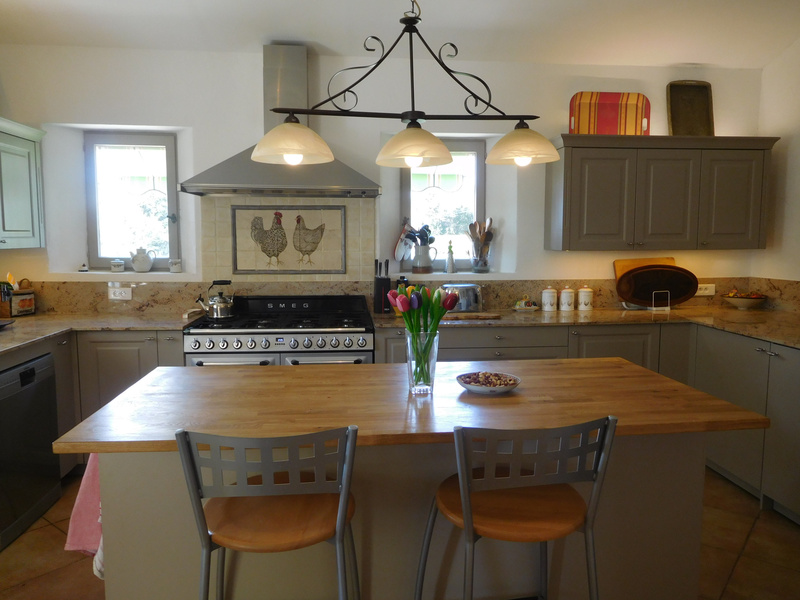 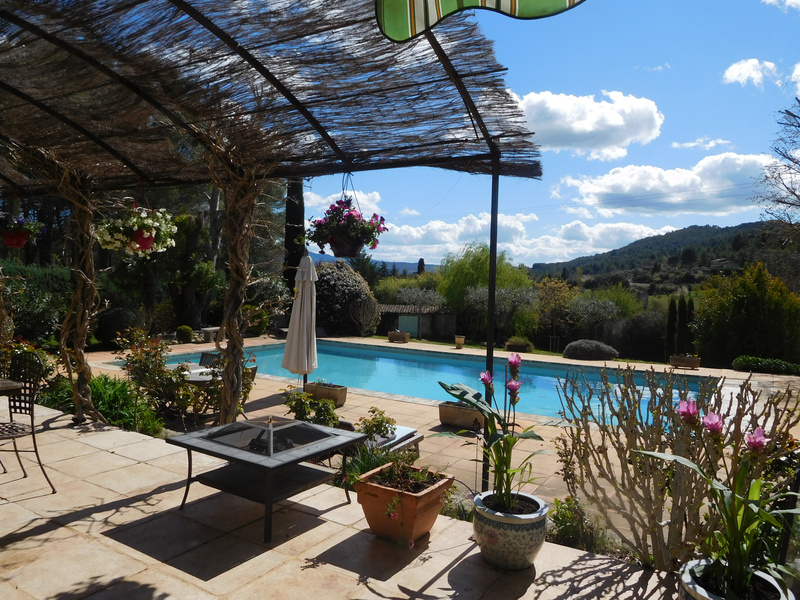 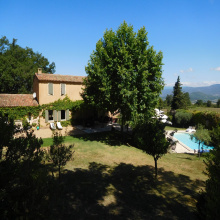 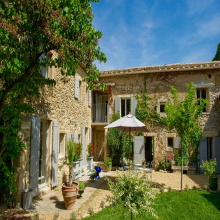 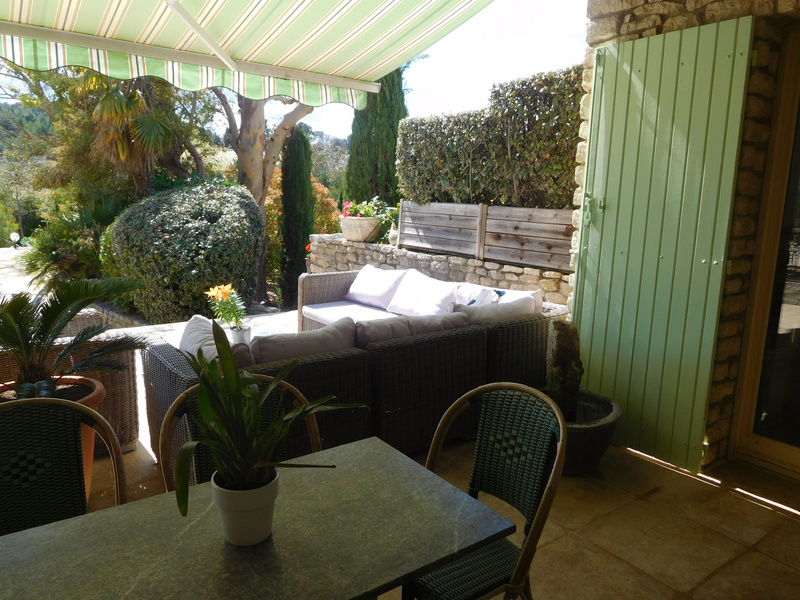 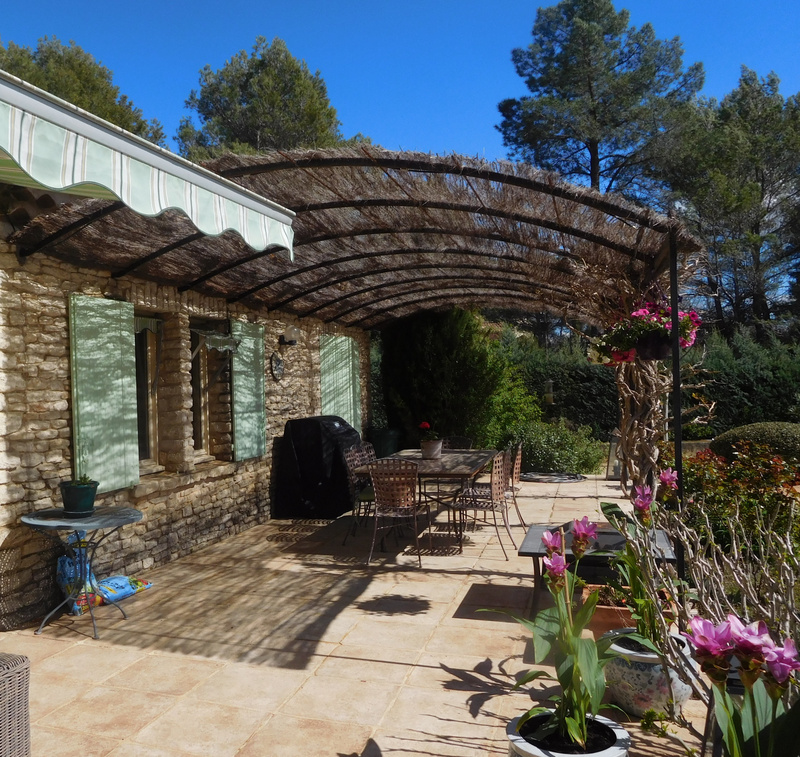 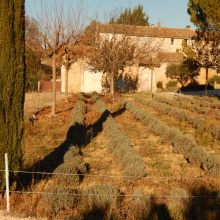 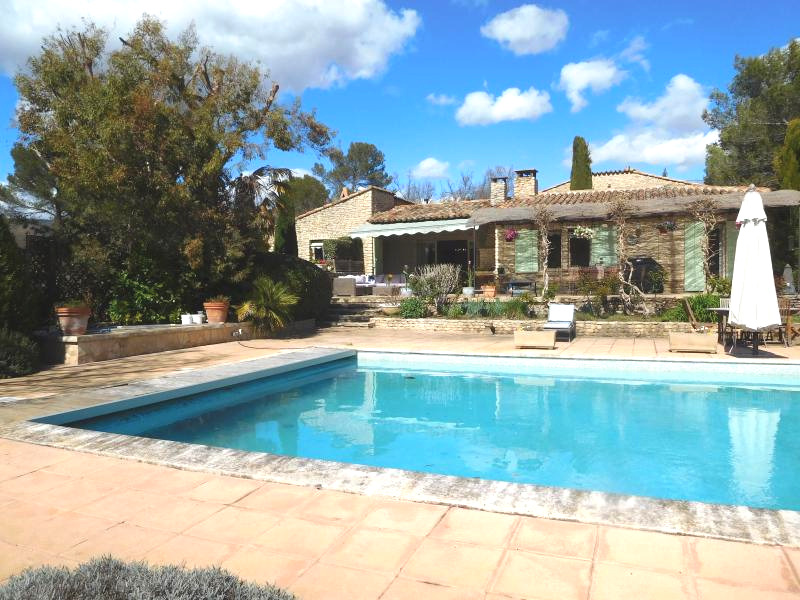 For Sale - St Saturnin les Apt - The Real Estate Agency Joys of Provence offers a beautiful house very close to the village center, 8 rooms with unobstructed views of the Luberon. 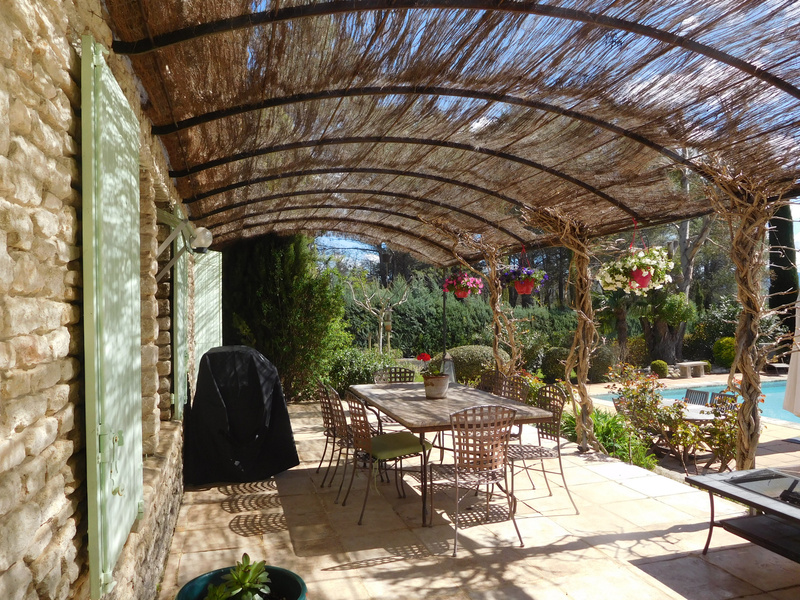 Beautiful landscaped garden of 4 108 sqmwith automatic gate, heated pool of 17 x 6, beautiful semi covered terrace overlooking the pool, well, 2 other terraces, one with Ja accuzi. 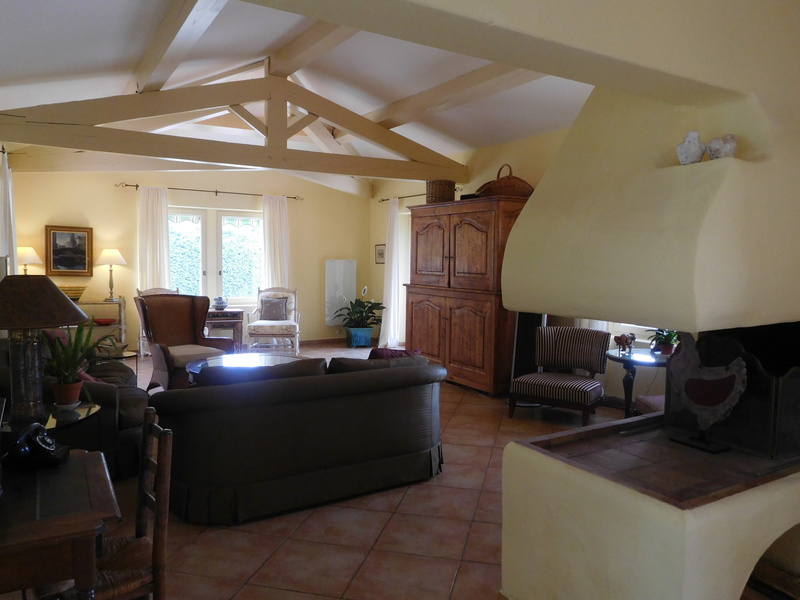 Beautiful living room with fireplace and access to the terrace, dining room and kitchen beautifully fitted and equipped. 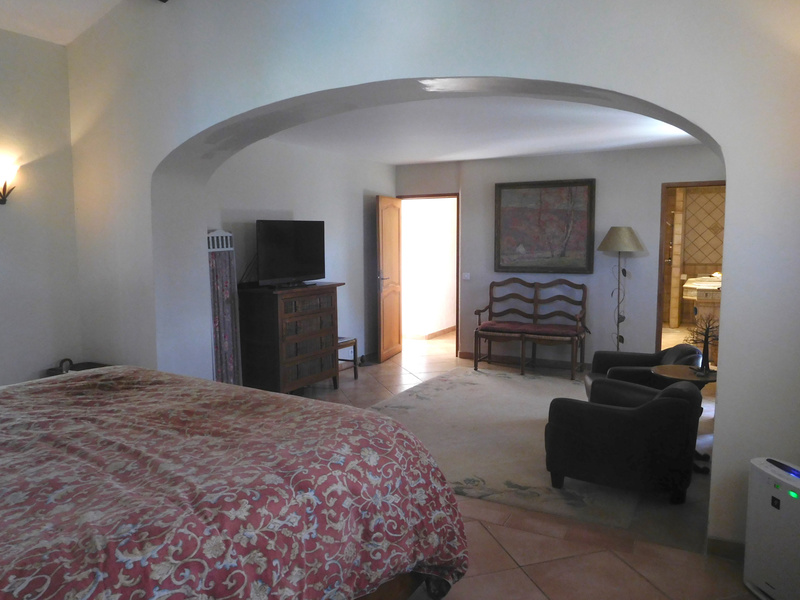 Large master suite with dressing room and bathroom / shower, double sinks, WC. 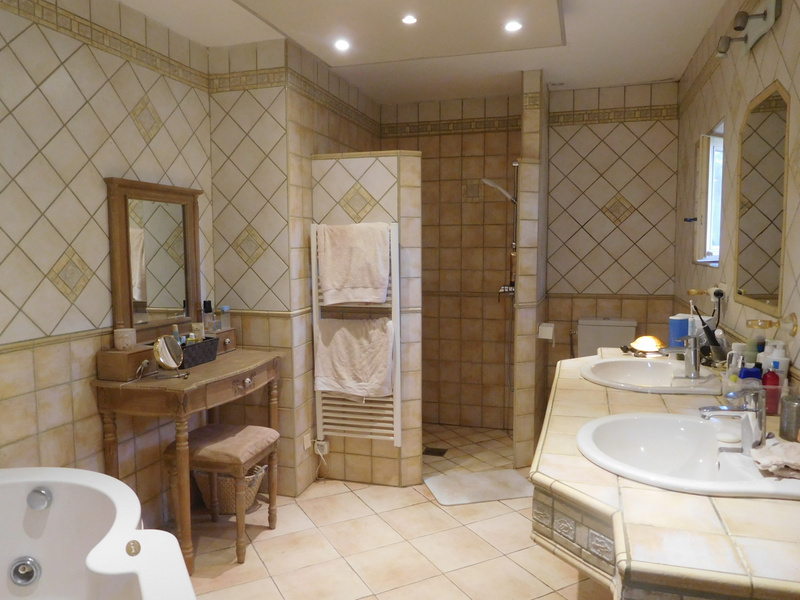 Another bedroom with bath / shower, double sinks, WC, Office / extra bedroom. 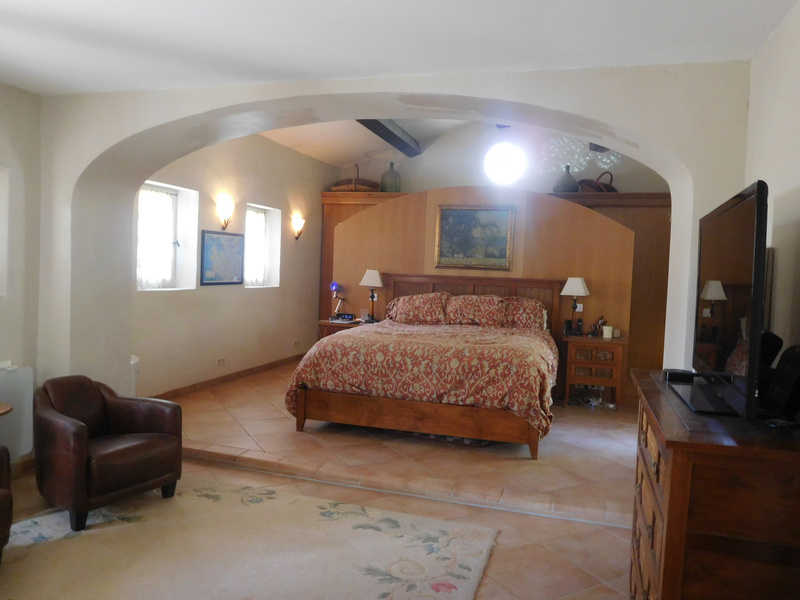 Cellar, Technical Room / Laundry room. 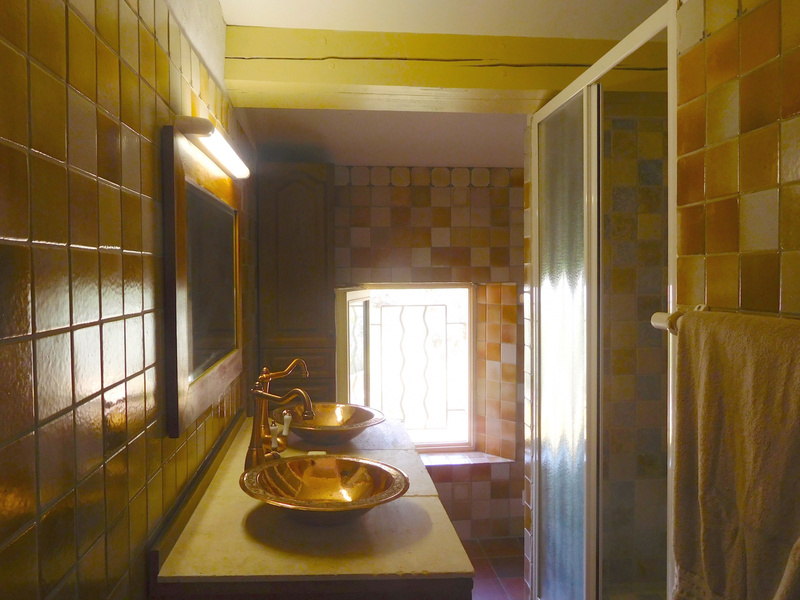 1st floor: 2 bedrooms, bathroom / WC. 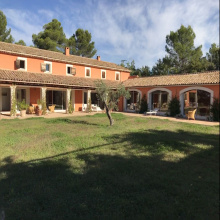 Big parking area.